This fourth DAC Report on Multilateral Aid examines recent trends in multilateral development co-operation. It asks how multilateral co-operation affects the fragmentation of aid, gives an overview of bilateral and joint assessments of multilateral organisations, and outlines guiding principles to limit the proliferation of multilateral aid channels. This third DAC Report on Multilateral Aid covers recent trends in multilateral aid and total use (core and non-core) of the multilateral system. 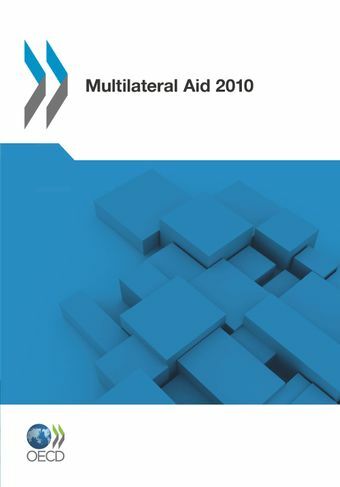 It investigates and highlights how countries make decisions to allocate aid bilaterally or multilaterally, and how they allocate this aid to different multilateral agencies. Click here to access the report in French. Multilateral aid accounts for over a third of total ODA. The scale at which the multilateral system is used reflects donors’ views of it as an important aid channel. However, a clearer picture of the multilateral system is needed to analyse this channel, and the first ever DAC report on multilateral aid aims to address this gap. The report provides a snapshot of the multilateral aid architecture, from the funding of multilateral organisations by DAC members to their own multilateral aid strategies and policies. The report also highlights issues such as fragmentation, multilateral effectiveness, reform processes and partner country views.